Each dermatologist that was board certified after 1992 is required by the American Board of Dermatology to take a recertification exam every ten years. One of the major components of the exam is to be able to identify clinical photographs of approximately 200 skin diseases, and while there are other components to the test, they vary according to subspecialty. However, everyone is required to identify the images, so several months before the exam, the American Board of Dermatology releases a list of the skin diseases that will be tested, but does not provide the images or reveal which ones will appear. 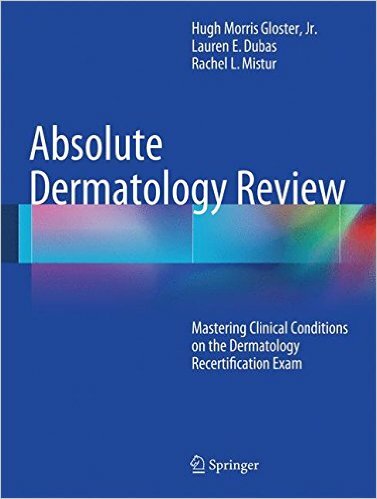 Review of Clinical Conditions for the Dermatology Recertification Examination provides a thorough, concise review of clinical images of the specific conditions that the reader will be required to recognize during the American Board of Dermatology recertification test. In addition, concise key clinical features for each image will be provided that will assist the reader in recognizing the clinical images on the examination, enabling them a more efficient way to study for the test without having to look up images online or in a large text book. 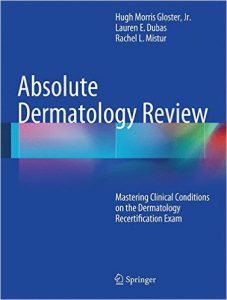 Written by a board certified dermatologic surgeon who recently took the recertification exam, this book proves indispensable to dermatologists taking the exam or residents who want a quick reference of the clinical appearances of the main conditions generally encountered by a dermatologist.